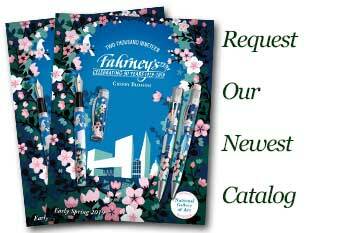 Order your Sheaffer Star Wars POP Rollerball / Journal Set today from FahrneysPens.com. Fine Pens, Refills & Luxurious Gifts – great prices & fast shipping. 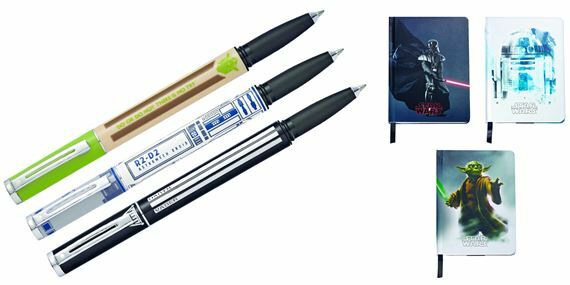 Sheaffer is excited to announce the introduction of the new Star Wars POP Collection. Three of the most popular characters are brought to life on the modern, bold POP silhouette. 360 degree colorful character decorations make this a must-have for all Star Wars fans. The smooth gel rollerball is available in a gift set with the new Sheaffer Star Wars journals. Bright and colorful character artwork adorns the front and back covers of these medium sized journals. With an expandable inner pocket and black satin ribbon page marker, this journal contains 160 lined, perforated FSC certified, acid-free pages. Let your creativity flow to the far reaches of the galaxy!